LONDON, Sept. 10, 2013 /PRNewswire/ -- Crude oil production from the Organization of the Petroleum Exporting Countries (OPEC) was 30.28 million barrels per day (b/d) in August, down 60,000 b/d from July, a just-released Platts survey of OPEC and oil industry officials and analysts showed. OPEC crude output fell again in August as oil worker strikes and protests drove Libyan production below the 300,000-b/d level towards the end of the month. Overall, Libyan production was down 440,000 b/d from July to 560,000 b/d in August. Higher output from OPEC kingpin Saudi Arabia and Iraq was not enough to offset the Libyan production loss. "The plunge in Libyan production draws attention to OPEC and what it can – and can't – deliver, and this report clearly shows where the problem areas are," said John Kingston, Platts global director of news. "Apart from sanctions-strapped Iran and Libya itself, a number of other OPEC countries are facing production challenges. This concentrates focus on Saudi Arabia, which the Platts survey estimates to have pumped 10 million b/d in August, and begs the question: will Riyadh be able and willing to maintain or exceed this level if the world needs more oil?" Saudi Arabia boosted output by 220,000 b/d to 10 million b/d in August from 9.78 million b/d in July, while Iraqi output recovered by 170,000 b/d to 3.15 million b/d from 2.98 million b/d in July. There were also smaller increases from Ecuador, Iran, Kuwait and the United Arab Emirates. Nouri Berruien, head of Libya's National Oil Corporation, told Platts on September 5 that output had averaged 560,000 b/d in August and had steadied at around 240,000 b/d in early September. Protests by security guards have caused the closure of the Libyan ports of Marsa el-Hariga, Zueitina, Ras Lanuf and Es Sider, the crude pipeline linking the El Sharara and Elephant fields with the northern export terminal at Zawiya and the 10,000 b/d Brega refinery. Benchmark Brent crude oil prices climbed above $117 per barrel in late August in response to the slump in Libyan production and amid expectations of military strikes on Syria. International Energy Agency (IEA) order oil to be released from emergency stockpiles, but the IEA has downplayed the likelihood of any similar move this time around. A spokesman for the agency said on August 30 that the agency was concerned about the "harmful effects of high oil prices on the global economic recovery," was monitoring the market and stood ready to respond in the event of a major supply disruption. However, he added, "the current situation does not call for an IEA response." On September 9, Qatari oil minister Mohammad Bin Saleh al-Sada told reporters during a visit to Tokyo that OPEC was monitoring the Libyan situation closely but that there was no wider shortage of crude. Indeed, he said, the market appeared to be in a "healthy situation." OPEC production had been above 31 million b/d for most of 2012, climbing as high as 31.75 million b/d in May last year, according to the Platts survey. It dipped to 30.65 million b/d in December and, apart from the occasional upward blip, has been falling since then. OPEC, which is scheduled to meet next on December 4 in Vienna, has an official output ceiling of 30 million b/d but no formal individual country quotas. For production numbers by country, click here. You may be prompted for a cost-free one-time-only log-in registration. 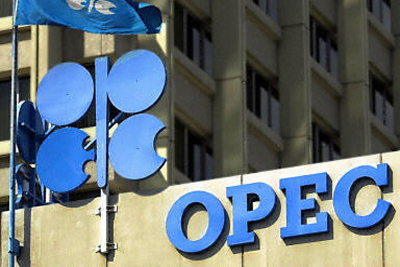 An OPEC guide may be found at this link. Platts OPEC and oil experts are available for media interviews; please consult Platts Media Center to schedule an interview. For other oil, energy and related information, visit www.platts.com. About McGraw Hill Financial: McGraw Hill Financial (NYSE: MHFI), a financial intelligence company, is a leader in credit ratings, benchmarks and analytics for the global capital and commodity markets. Iconic brands include: Standard & Poor's Ratings Services, S&P Capital IQ, S&P Dow Jones Indices, Platts, CRISIL, J.D. Power & Associates, McGraw Hill Construction and Aviation Week. The Company has approximately 17,000 employees in 27 countries. Additional information is available at www.mhfi.com.